Over the course of Nelson Mandela’s 95 years, South Africa evolved from a white-ruled British dominion to a republic representative of its majority-black population. But while the country has changed politically and demographically, economically it still looks much as it did nearly a century ago, divided along racial lines. 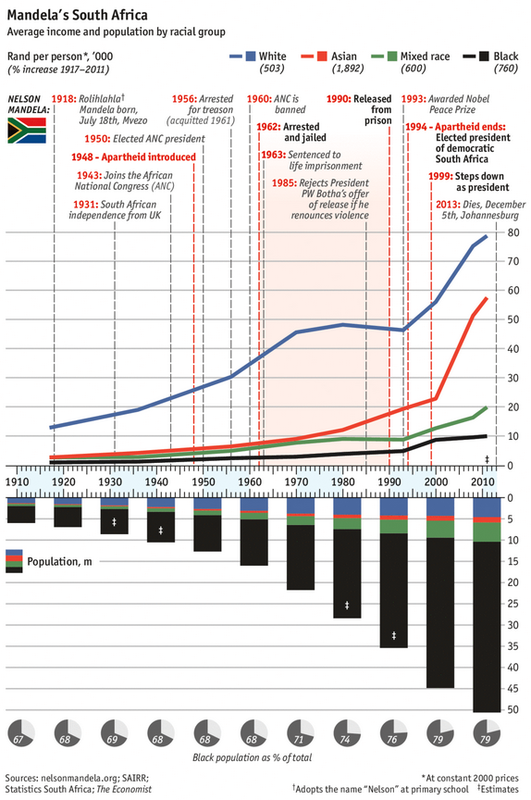 This infographic from The Economist shows how economic disparities between South Africa’s major racial groups (measured in real per-capita income) have grown over time. The gap between whites and all other groups grew wider till about 1970; white income growth flattened out in the 1970s and 1980s, as sanctions hobbled the country’s economy. 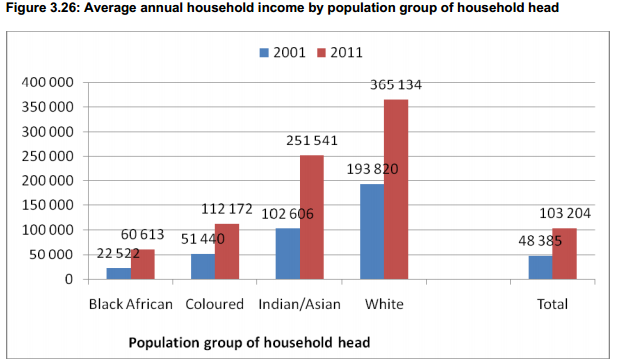 But as sanctions were lifted after the collapse of the apartheid regime, whites and Asians (mostly of Indian descent) have benefited the most while black incomes have been nearly flat.